The hospitality and tourism industry is not made for the common man. It requires the dedication, strength and drive of a person passionate about traveling, meeting new people and adjusting to the odd living arrangements as well! However, at the end of the day a shining career in the sector is often easily achievable because it allows workers to easily move from one resort job to another without committing to any one place! Resorts in the Maldives are particularly at a benefit because the country has tourists coming in from all around the world all year round! Hence, the economy is booming, and the industry offers the perfect place to begin your career in hospitality and tourism. One of the best perks of working in resorts in the Maldives is that these tend to hire contractual or seasonal workers all year round! This means that the common employee is not bound to work in a specific place for longer than they desire. For most foreign workers looking to expand their CVs and Resumes, this seems like a perfect deal. It allows users to enjoy the perks offered by the resort alongside traveling and taking in the sights offered by the geographical location. If you are looking for a shining career in hospitality and tourism, working at a resort in the Maldives maybe your best chance! If you were once a student, you would understand the value of petty cash or pocket money. And majority of the times, students don’t have either. However, resort jobs in the Maldives often hire students during vacations or even part time throughout the year to bring a vibrant energy to the resort and help with the odd jobs around. 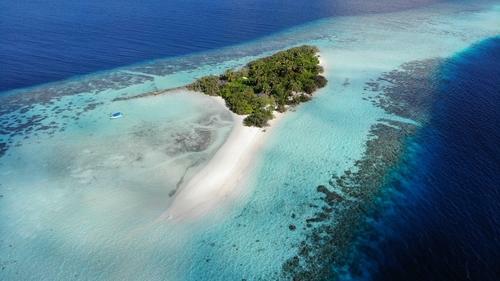 Resort jobs in the Maldives are also designed to accommodate the needs of people that are in between jobs or looking to shift from the current job. This way they are not only employed but also get to experience working in a different sector altogether. People in transition are often testing the waters before committing fully to any job. Hence, seasonal beach resort jobs offer the perfect space for individuals to test their capabilities and decide a path. The common skilled worker is one that possess a skill that the have perfected over the years. These skilled workers are scarce and often working on rotational or contractual basis. Moreover, they are also often working in more than one resorts at a time. Some of the common skilled workers include; Spa therapists and diving instructors. Working at a resort in the Maldives can offer employees the perfect space to test their capabilities and decide the path that they would take eventually. These jobs are designed to enhance the users career in the hospitality and tourism industry without compromising on their needs.